Two years ago, when I moved in with my boyfriend, we didn’t have a kitchen in our apartment. We ate all our meals prepared by my suocera (mother in law in Italian). And we ate so much food, maybe even a bit too much. Being one that loves food, whether we talk about cooking it or eating it, I have immersed myself in the world of Italian cuisine. 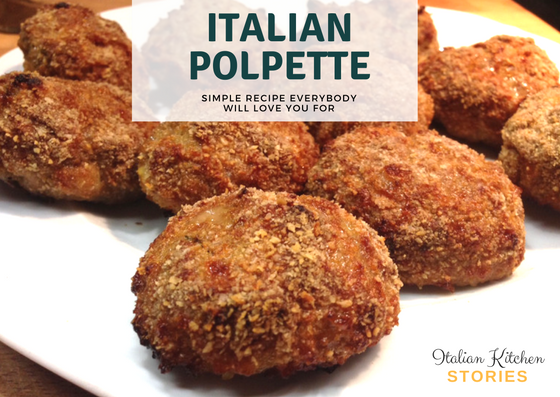 Today I want to share with you my recipe for Italian Polpette. 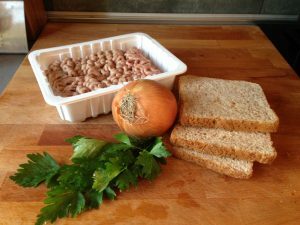 There are so many various recipes (I will share a few in the future), but today I’m going to teach you how to make the basic one. 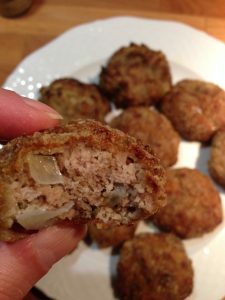 The process of preparing these polpette (meatballs) is super simple. If you have kids they will love to participate as well. 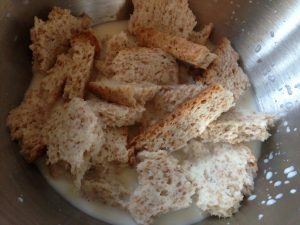 Tear the bread in smaller pieces and put them in the bowl and add milk. Milk should be just the right amount to moist the bread completely, but not to make it too soggy. I use a blender to make the whole process faster. Once the bread has softened up (it takes 2-3 minutes) you can start adding the rest. While your bread is getting ready, you can chop the onion and parsley. 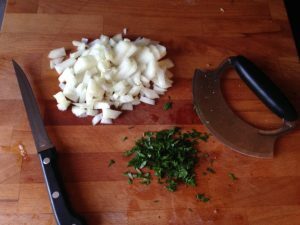 Chop the onion in smallest cubes possible (we like our’s chunky, so I don’t work it too much) and the same is for the parsley. Now it the time to unite the ingredients. I start mixing the milk and bread first. 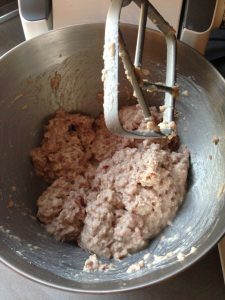 Once I see that bread turned all mushy, I start adding bit by bit the ground meat. I let it mix slowly for about 2-3 minutes (you can also do it by hand) and then I add onions and parsley. On the end, I’m adding salt and pepper (I do my approx. measures). Create small balls and roll them in bread crumbs. Once you lay them down, press them a bit. They will get a nice flat round shape. Usually, I make them a bit larger, as they shrink during the baking. 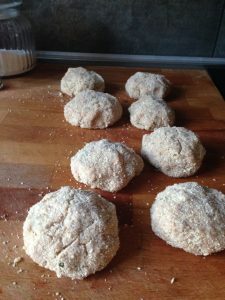 Plus the bread crumbs make them crunchy on the outside and moist on the inside. I bake them for 20 minutes on 200C preheated oven. Check them frequently while baking. They need to get nice golden brown color. 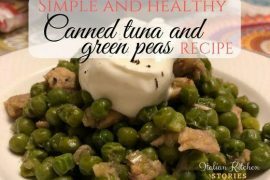 Serve them warm with mashed potatoes, grilled vegetables or with a salad of your choice. 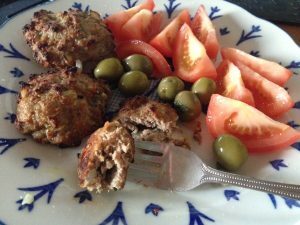 These polpette will soon become a hit in your family as they are in mine. Let me know how did they come out for you.